The controversial 'Resign Now' petition created by cultural activist and well-known tour guide in Intramuros, Manila was went viral. But an anonymous user created a new petition to counter the petition made by Carlos Celdran against President-elect Rodrigo Duterte. Carlos Celdran is a solid supporter of Liberal Party presidential bet Mar Roxas and vice-presidential bet Leni Robredo. During campaign period, Celdran was one of the target of Duterte's supporters because of his unfailing attacks for the PDP-Laban presidential bet Rodrigo Duterte and now the incoming president of the Philippines. Because of this issue, the word 'Dutertards', 'Dutertrolls' and many more was invented by Carlos Celdran as a code name for Duterte's solid supporters. Back to the topic, Anonymous user created the petition because he belives that President-elect Rodrigo Duterte is the 'Real Leader.' He said on his petition, "We need a real honest leader to deal people who can't handle the truth, bigotry, and for those who are afraid to have a big change." "Duterte took the role of an alpha male leader. Real leaders have real brains over emotions. You need people like him (Duterte) so that you can point your dirty fingers and say "he's the bad guy." We need a real honest leader to deal people who can't handle the truth, bigotry, and for those who are afraid to have a big change. Give a second chance. It's too early to resign Duterte. Give him a trial and see how he can handle Philippines." "One thing, hating Duterte is like Carlos hating against the government and he'll cost him dearly. Law is a law. Respect! No to propaganda. Period. It is against the government to blame Duterte like this, just as Carlos Celdran did. There is a proper process by the law to handle such violators." According to the petition, it will be delivered to the Mayor of Cavite City, Mayor Bernardo S. Paredes, and two others, namely, Mocha Girls and Decision Maker Reddit. As of writing this post, the petition already have 13 supporters and still counting. If you like to sign the petition just hit the link below. What do you think on this petition? Do you agree with this petition to cancel Celdran's petition? Please point your thoughts below. 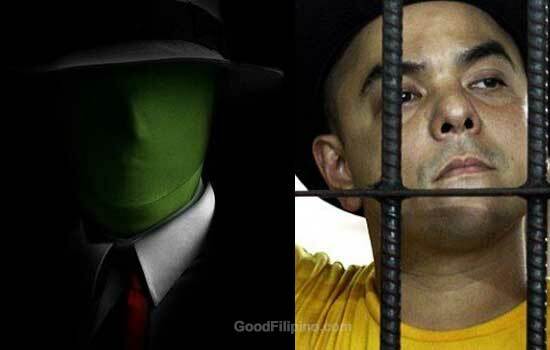 Comments or suggestions about "Anonymous user started petition to cancel Carlos Celdran's petition against Duterte" is important to us, you may share it by using the comment box below.